미국에서 개인주의 정신은 500년 전 마틴 루터가 95개조 반박문을 붙이며 시작된 개신교(Protestant) 개혁과 본질적으로 연계되어 있다. 로마 가톨릭 교회의 교리를 거부한 루터의 반박문은 가톨릭 교회의 오래된 방종에 대한 부패를 제거하는 것뿐 아니라 개인들이 교회와 위계적인 성직자들을 통해서가 아니라 직접 하나님과 소통할 수 있다는 신앙에 대한 것이었다. 개신교는 오랜 역사를 통해 미국인들의 사회적, 정치적 삶을 지배하고 있다. 19세기와 20세기 초에 아일랜드, 이탈리아 등에서 수백만 명이 대규모로 미국으로 이민 오면서 가톨릭이 활력을 얻었고 유대인들의 유입과 러시아를 비롯, 동유럽에서 이민자들이 많이 들어오면서 개신교 리더십은 도전을 받았다. 하지만 존 F. 케네디만 유일하게 가톨릭 신자로 대통령에 당선되었고 유대인 정치가들 중에서 지난해 민주당 대선 경선에서 힐러리 클린턴에 위협이 되었던 버니 샌더스 상원의원이 있긴 하지만 연방상원의원 이상 오른 경우는 없었다. 미국 개인주의를 말할 때 우리는 보통 마틴 루터를 생각하지 않는다. 사실, 미국 개신교에 마틴 루터의 영향이 얼마나 스며들었는지 잘 모른다. 미국에서 루터의 영향력이 가장 극명하게 드러난 경우는 교인 450만명으로 미국에서 5번째로 큰 개신교의 한 교파인 루터교다. 마틴 루터의 영향은 교인 780만명으로 1620만명의 남침례교 다음으로 두 번째로 큰 연합감리교에도 동일하게 중요하다. 루터는 교인 280만명으로 미국에서 8번째로 큰 개신교 교파인 장로교에도 영향을 많이 미쳤다. 하지만 감리교인들과 장로교인들은 다른 위대한 종교인들의 영향을 받았다. 존 웨슬리는 기독교인의 ‘완전성’을 설교하며 이 ‘방법’(method)을 믿는 사람들을 설득해 영국에서 감리교를 시작했다. 존 칼빈과 다른 사람들은 스코틀랜드에서 시작되어 스코틀랜드와 아일랜드 이민자들이 영국의 미국 식민지로 가지고 간 장로교의 기초가 되는 개혁운동을 시작했다. 감리교, 루터교, 장로교는 숫적으로는 침례교, 복음주의자들에 비해 열세이지만 미국에서 성공회와 함께 영향력 있는 개신교 교파로 자리매김하고 있다. 그런데 다른 전통적인 개신교 교파들과 달리 성공회는 왜 마틴 루터에게 동일한 충성을 하지 않는 것일까? 이 대답은 미국인들이 영국 식민지배에 항거한 때로 거슬러 가면 알 수 있다. 미국에 있는 영국 국교회(The Church of England)는 성공회(Episcopal Church)로 이름을 바꿨다. 그래서 성공회 지도자들은 영국 국왕에게 충성을 맹세하지 않았다. 영국 국교회의 회원으로 성공회는 교인이 약 200만명으로 미국 개신교 교파 중 12번째로 크다. 하지만 영향력은 그 교인 수보다 훨씬 크다. 12명의 미국 대통령이 성공회 교인이었고 성공회 교인들은 평균적으로 다른 교파나 다른 신앙의 사람들보다 훨씬 돈이 많고 교육 수준도 높다. 하지만 장로교, 감리교, 루터교와 달리 성공회는 마틴 루터를 종교적인 위인으로 보지 않는다. 그들은 자신들의 역사를 16세기 영국의 헨리 8세가 다른 여자와 결혼하기 위해 이혼 신청한 것을 로마 교황이 거부하면서 가톨릭 교회를 향해 반란을 일으켰던 때로 거슬러간다. 미국 성공회는 영국 국교회처럼 루터의 95개조 반박문을 자신들의 교회 역사에서 본질적인 것으로 보지 않는다. 문제는 미국에서 가장 크고, 가장 역동적인 개신교 교파들이 마틴 루터를 공경하고 있지 않다는 것이다. 남침례교와 350만명의 교인이 있는 전국침례교 등 2000만명이나 되는 미국 침례교는 숫적으로 다른 개신교 교파를 압도하고 있다. 천만명이 넘는 복음주의자들과 함께 침례교인들은 그들이 학교에서는 읽었지만 루터의 진정한 의미에 대해 충분히 이해하지 못하고 있는 것 같다. 퓨리서치센터 조사에 따르면 가톨릭 교인을 비롯해 미국 성인의 2/3는 마틴 루터가 개신교 개혁의 동력이었다는 것을 알고 있다. 기독교 저널인 ‘크리스천투데이’는 “1517년 마틴 루터는 두 가지 혁명적인 생각에 자신의 영혼을 포커스했다”며 “구원은 오직 믿음에 달려 있다는 ‘오직 믿음’(Sola Fide)과 성경이 기독교인 신앙과 활동에서 유일한 궁극적 권위이고 성경을 읽고 그 내용을 이해하는데 교회 지도자나 전통의 감독을 받을 필요가 없다는 ‘오직 성경’(Sola Scriptura)”이라고 평가했다. 이것은 500년 전에는 혁명적인 개념이었다. 이 개념은 유럽에 퍼졌고 나중에 미국으로 가 루터교, 감리교, 장로교 등 개신교회들에서 가르쳐지고 설교로 소개되었다. 이 교회들은 루터와 그의 95개조 반박문을 정기적으로 기념하지만 다른 개신교 기독교인들은 루터의 유산에 엄청난 감사를 하고 있다. 그가 제시한 개인의 자유에 대한 개념은 가톨릭 교회의 독단적 교리로부터 완전히 끊어낸 것이었다. 개신교인들은 미국 전체 인구의 절반 가량이고 가톨릭 교인은 미국 전체 인구의 22%로 단일 종교로 가장 많다. 미국 대륙에서 서부개척 붐이 일어나고 그 뒤 미국이 세계적인 강대국으로 부상할 때 뒷받침이 되었던 종교적, 영적인 힘은 주류 개신교 교회들로 불리는 교회들이었다. 미국 생활방식의 핵심인 ‘공고한 개인주의’라는 용어는 루터뿐 아니라 미국 혁명 당시 영국지배에 맞서 싸우고 남북전쟁에서 노예제에 반대해 싸우고 두 번의 세계대전과 한국전쟁, 베트남 전쟁 그리고 지금 중동전쟁에서 자유를 위해 싸운 모든 미국의 애국자 덕분에 나온 말이다. 마틴 루터가 95개조 반박문을 붙인 후 지금까지 500년 동안 그를 기념할 때 우리는 그가 종교개혁 그 이상을 시작했다는 것을 기억해야 한다. 그는 근대 서구문명의 근간인 자유와 사상의 자유의 시대를 열었다. The spirit of individualism in America is bound intrinsically to the Protestant reformation and the 95 theses posted by Martin Luther 500 years ago. Underlying Luther's revolt against the dogma of the Catholic Church in Rome, besides the need to do away with the corruption inherent in "indulgences" was the belief that the individual could communicate directly with God rather than through the church and its hierarchy of priests. 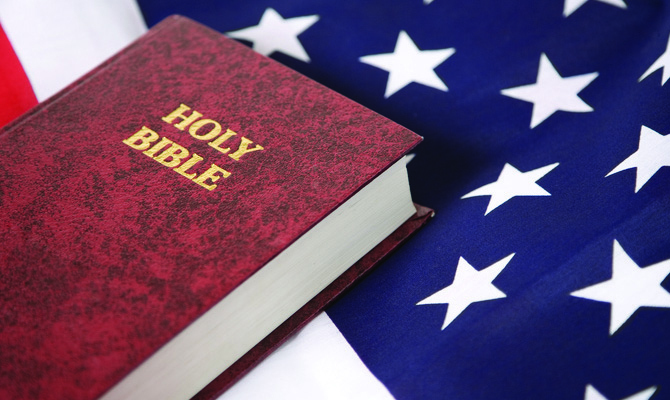 Protestantism has dominated American social and political life through all its history. Mass immigration of millions of people from Ireland, Italy and elsewhere in Europe in the 19th and early 20th centuries also made Catholicism a vital force, and the increasing influence of a Jewish minority, many also the descendants of immigrants from eastern Europe, including Russia, has challenged Protestant leadership, but only one Catholic, John F. Kennedy, has been elected President. No Jewish politician has risen above the level of U.S. senate though Bernie Sanders posed significant opposition to Hillary Clinton for the Democratic presidential nomination last year. When we hear of American individualism, we do not generally think of Martin Luther. In fact, the influence of Martin Luther permeates Protestantism in America in ways that we hardly realize. The most obvious manifestation of Luther's enduring influence is the Lutheran Church, whose 4.5 million members make it the fifth largest Protestant denomination. The influence of Martin Luther is equally important in the United Methodist Church, with 7.8 million members, second only to the 16.2 million members of the Southern Baptist Convention. Lutheranism also is a vital influence in the Presbyterian Church, the eighth largest Protestant denomination with 2.8 million members. Both Methodists and Presbyterians, however, were also influenced by other great religious figures. John Wesley preached Christian "perfection" persuading those believing in this "method" to form their own Methodist Church in England. John Calvin and others were responsible for a reform movement as the basis for the Presbyterian Church, originating mainly in Scotland and then carried to Britain's American colonies by Scotch-Irish settlers. Although Methodists, Lutherans and Presbyterians are outnumbered by Baptists and evangelicals, they rank historically as members of the most influential Protestant denominations in the U.S. along with Episcopalians. Why, however, does the Episcopal Church not owe the same allegiance to Martin Luther as do other traditionally strong denominations? The answer goes back to the American revolution against British rule. The Church of England in the U.S. was renamed the Episcopal Church so its leaders would not swear loyalty to the British monarch. As a member of the global Anglican Communion, the Episcopal Church has nearly 2 million members, placing it twelfth among Protestant denominations, but its influence has been far greater than its numbers. A dozen American presidents have been Episcopalians, and Episcopalians on average have more money and are better educated than are members of other faiths. Unlike Presbyterians, Methodists and Lutherans, however, Episcopalians do not look to Martin Luther for religious inspiration. Rather, they date their history to the revolt of King Henry the Eighth of England in the 16th century from the Catholic Church after the Pope in Rome refused to approve his divorce from one woman in order to marry another. Episcopalians in the U.S., like Anglicans in England, do not refer to Martin Luther's 95 theses as integral to their church history. Nor, for that matter, do America's largest, most dynamic Protestant denominations really venerate Martin Luther. America's 20 million Baptists, including the Southern Baptist Convention and the National Baptist Convention of America, with 3.5 million members, far outnumber those in other denominations. Along with evangelicals, whose total exceeds 10 million, Baptists may not fully appreciate Luther's true significance though they read about him in school. A study conducted by the Pew Research Center shows, however, that two thirds of American adults, including Catholics, are aware that Martin Luther was the guiding force behind the Protestant Reformation. "In 1517, Martin Luther staked his soul on two revolutionary ideas" begins an article in the journal Christianity Today. These include "sola fide, that justification is dependent on faith alone; and sola scriptura, that Scripture is the only ultimate authority for Christian belief and practice and does not need oversight from church leaders or tradition to be read and understood." These were revolutionary concepts 500 years ago. They spread through Europe and then to America in the teaching and preaching of Protestant churches, notably Lutheran, Methodist and Presbyterian. While those churches regularly honor the memory of Luther and his 95 theses, other Protestant denominations owe an enormous debt of gratitude to his legacy. His concept of the freedom of the individual marked a dramatic break from the dogma of the Catholic Church. Protestants comprise nearly half of all Americans while Catholics include 22 percent of the population, the single largest religious grouping. The driving religious and spiritual force behind the rise of the United States in the surge westward across the American continent and then as a global world power undoubtedly has been that of what are still regarded as mainline Protestant churches. The term "rugged individualism" central to the American way of life, owes its origin as much to Luther as to all those American patriots who fought against British rule in the American revolution, against slavery in the Civil War, and in the name of freedom in two world wars, in Korea and Vietnam, and in the middle east to this day. 인간의 장기가 이식되면 원래 주인의 생명과 상관없이 계속 생명을 유지한다. 그렇다면 인간은 하나의 주체에 의해서 통제되는 단일생명체인가 아니면 여러 생명체가 함께 살고 있는 연합생명체인가? 중력과 전자기력을 하나로 융합한 통일장이론으로 우주와 생명을 새롭게 설명하는 책(제목; 과학의 재발견)이 나왔는데 노벨 물리학상 후보에 오른 과학자들(김정욱, 김진의, 임지순, 김필립)도 반론을 못한다. 그 이유가 궁금하면 그들에게 물어보거나 이 책을 보라! 이 책은 과학으로 철학을 증명하고 철학으로 과학을 완성한 통일장이론서다.